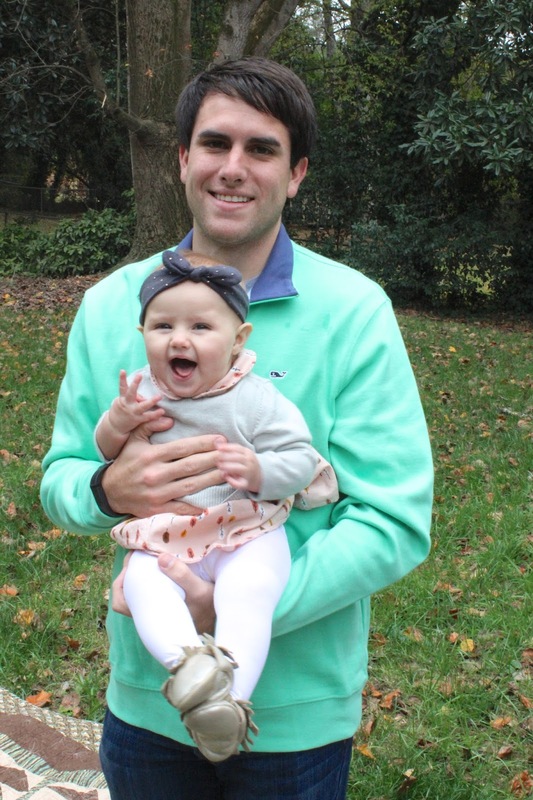 First of all – Maddie Grace is 7 months today. 7 months. That means she’s basically almost a year old. But I’ll devote a whole post to that later this week, for now I’ll stay focused on the weekend. We had an amazingly seemingly uneventful but chilly weekend here at our household in Atlanta. Friday nights we also do date nights, but it was cold enough and I was feeling lazy enough not to leave the house, so we picked up food and ate at home and watched Shark Tank. It was super romantic. Saturday I did some baking and crafting (see below), and we took a family trip to Target. And of course we watched our Georgia Bulldogs play that night with some friends and a lot of dogs. For real there were almost as many dogs as people there, which is great because MG just adores each and every dog she sees. It was an amazing game for us, besides Gurley getting injured. Sorry Missouri fans, no hard feelings, but we are really going to need y’all to lose one of your next two games. Sunday we visited some friends in the suburbs and watched some football there, and had dinner with one set of grandparents. Tom took the morning shift with MG and let me sleep later than usual, which I’m pretty sure just made me even more tired. 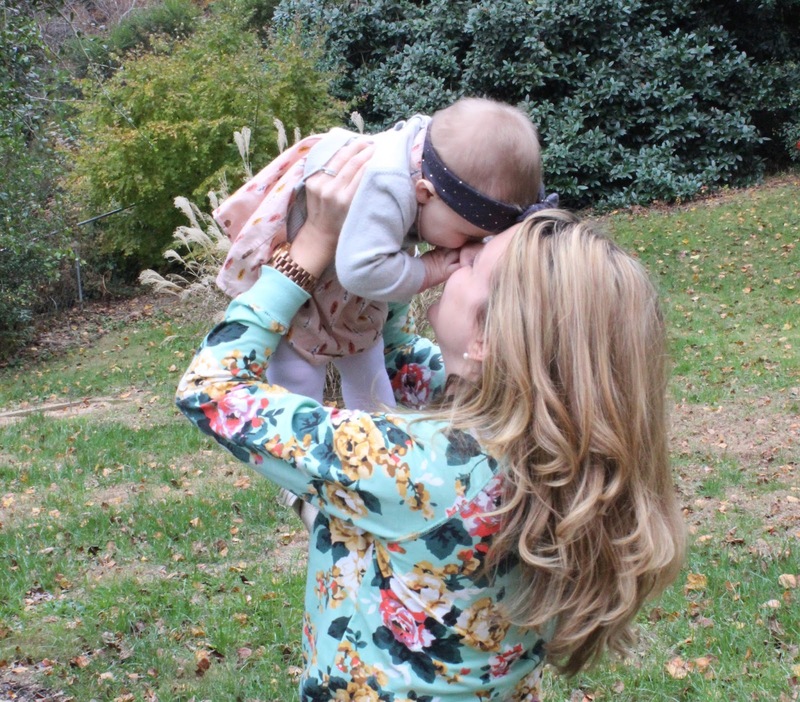 Headband ℅ The Lovely Co – Don’t miss my giveaway with them here! Now we are rockin’ and rollin’ into the week before Thanksgiving! We are hosting again this year and it has snuck up on us and now I feel like there is so much to do to get ready. Help! 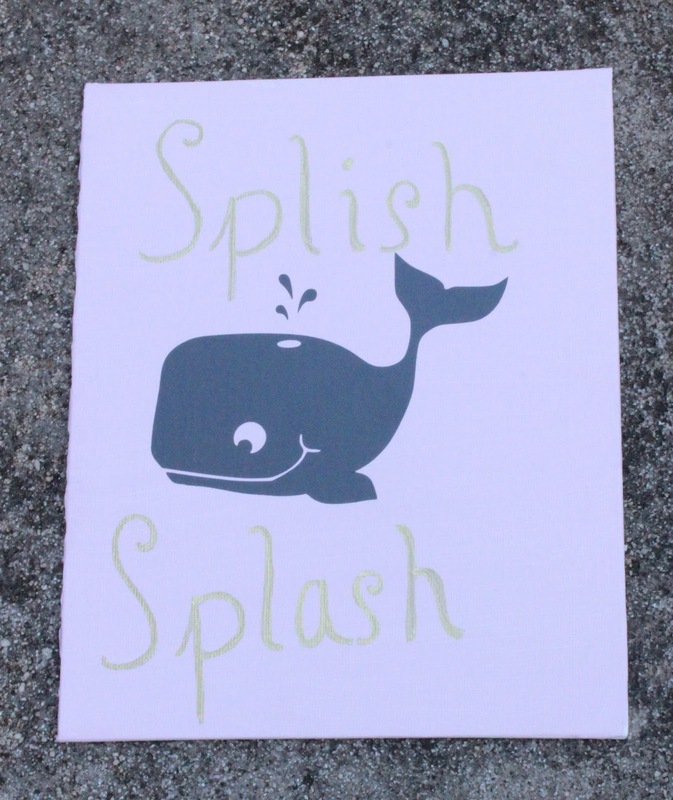 Here is one of the crafts I worked on this weekend – some nautical nursery signs for which I used Bobee Whale Decals . These decals are beyond easy to use on any flat surface. And look, the surface I used them on, canvas, isn’t even really what they intended them to be used on, and they still applied like a dream. I can think of a plethora of ways these decals could be used – walls, gift bags, decor for a party, cards, bathroom, etc. etc. etc. 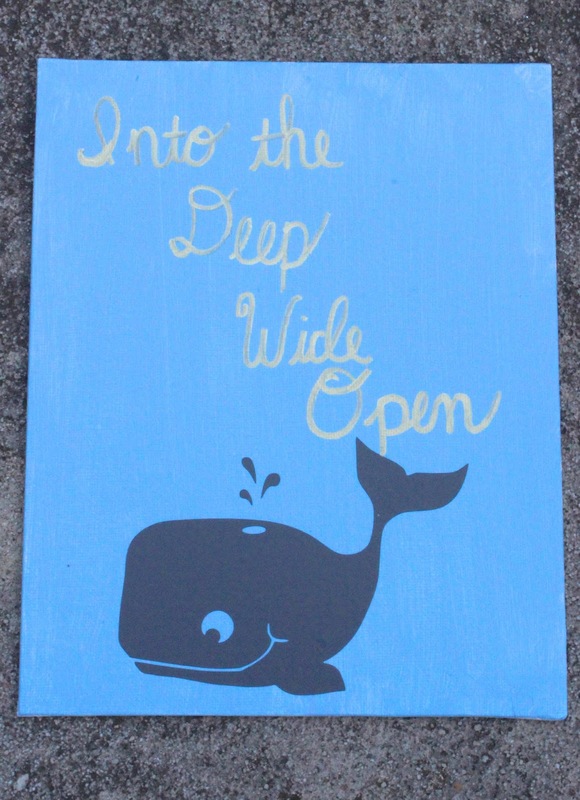 So if you have a nautical themed room, party, or just really like whales, check these out – they won’t dissapoint. And of course we are giving away some below so enter to win a pack of 5 decals to get you started on your next nautical project! Wow! 7 months old. That time really flies by fast. Enjoy it will you can. It sure does! I am! 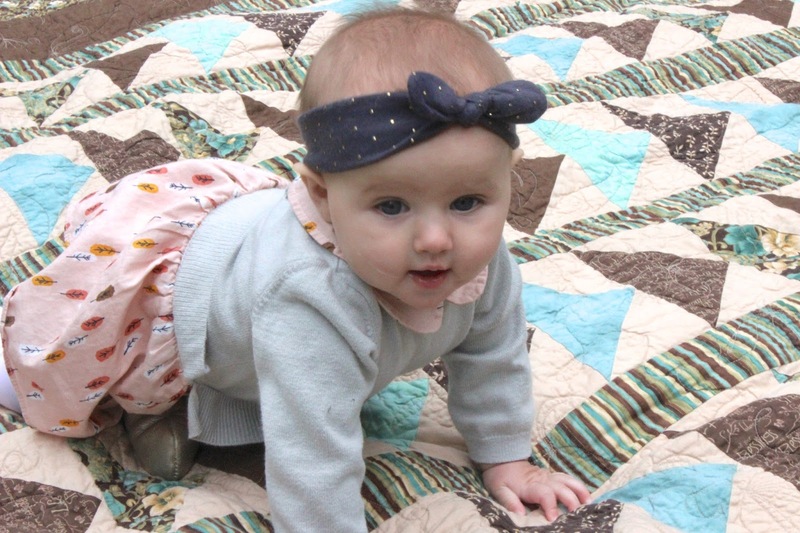 That baby (and her outfit) is the most precious thing ever!! And love the whale decals! Thank you it is from The Lovely Co! I know every time I see a 1 year old I think she is SO far from that when really she's not, but developmentally she is! OMG You guys are such a beautiful family. What a gorgeous daughter you have. I love her outfit too. that headband is adorable! So so so cute! MG is adorable! Congrats! She is so precious. I love the headband. 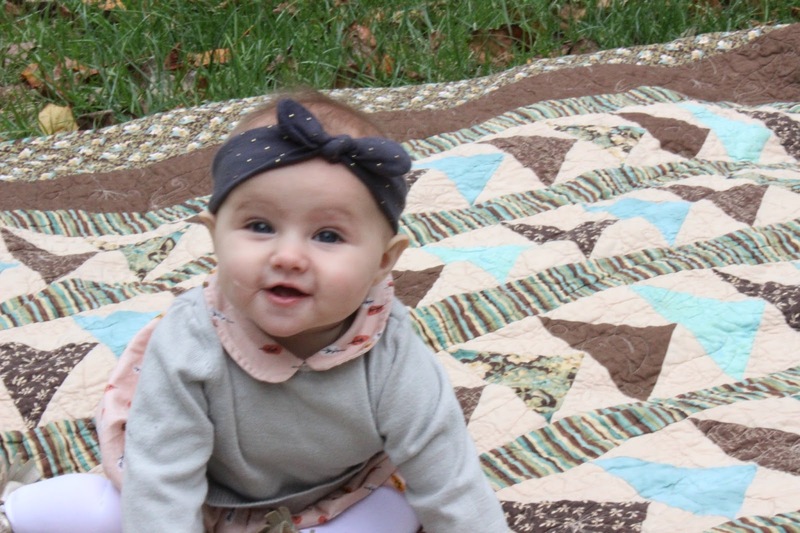 Love the quilt in your pictures! We have a nautical nursery too and love it. Thank you – a family friend made it for us! She is seriously a little princess. So freaking adorable! You guys are so adorable! And I love those pictures! She is such a happy little bug! So sweet! I love her little outfit and you are your husband are adorable. What a cutie! She is at a fun age, I miss when my daughter was that little. Oh my gosh, TOO CUTE in that little headband!! Awww she is adorable. I love the nautical nursery signs. What a fun whale for a little one to wake up to. I love the whale decals, but she has to be the cutest thing in all those photos. Such a cheery little one. You have such a cute baby. I love that age. What a sweet little weekend! Your baby is the cutest!! PS: Shark Tank and take out might sound like the perfect Friday night to me. Okay Maddie grace is adorable! Love those photos! She is so adorable, love her headband and I love your shirt! So pretty, where from?? I would use these decals in my bathroom. I have been meaning to decorate it since we moved in and haven't. This will totally motivate me to get a theme and start decorating. 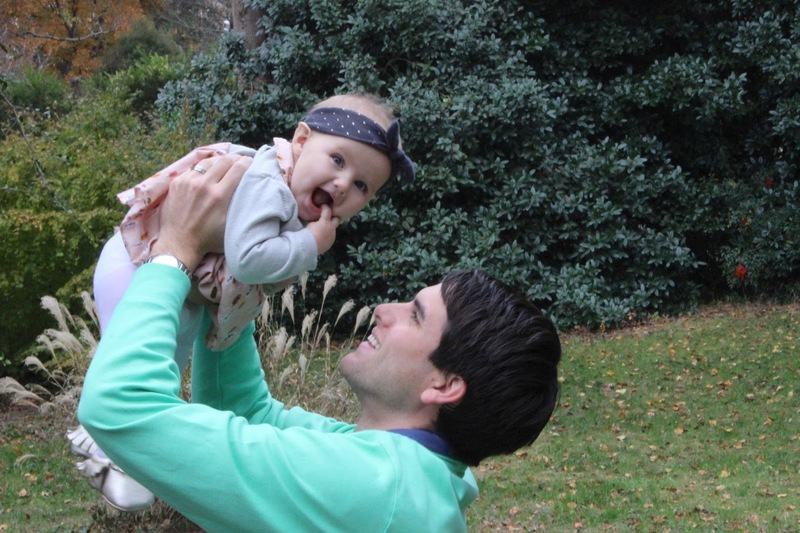 Those pictures are too sweet – and how fun are your coordinating outfits?! 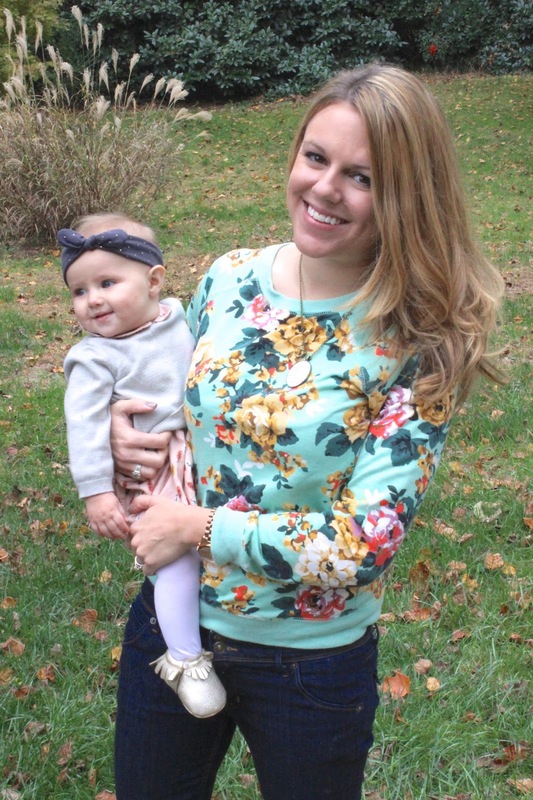 Love the floral sweatshirt and your daughter's cute little head-wrap. Love the whales. So cute! Awww what a cutie pie! I love the Splish Splash decoration, it's so cute.